I use the term Family Meal often. 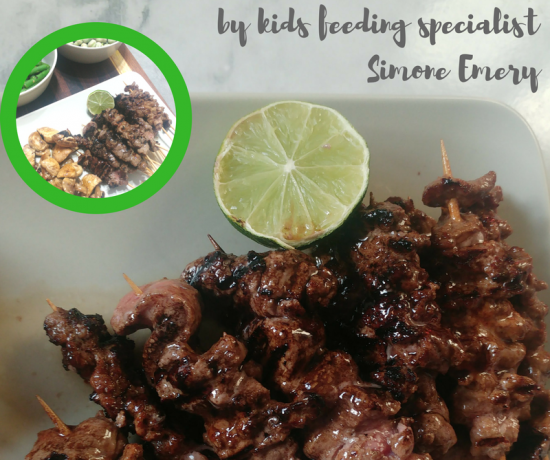 The main defining element is that a family meals consists of your child + one other person. A family meal doesn’t have to include everyone. Ensure that children have appropriately set-up eating positions. They should sit with a 90o angle at the hips, knees and the ankles. 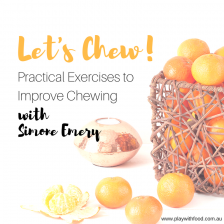 Decide on the environmental cues that will help your child to eat and avoid cues that have been previously associated with negative feeding behaviours. If TV (or any other screen) is on before a meal or during a meal, I have resources dedicated to understanding the impacts of screens on dietary repertoire. 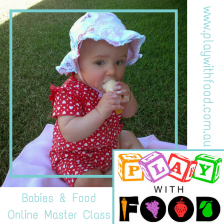 Engage the child in some movement before the meal to help them organise or reset themselves. Family style meal serves where everyone takes something from each plate provided – they can put it on their plate or onto their learning plate. Do this instead of plating up for the child in advance. At every meal offer: a preferred food, a carbohydrate, a dairy, a fruit, a vegetable and a protein. 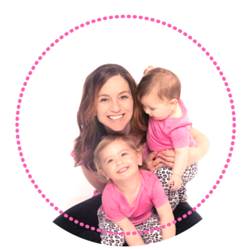 (** Simone’s tip for busy carer’s is to work towards a balanced diet over the day**). After 10-15 minutes of eating, instigate “clean-up time”. A final opportunity for your child to acknowledge the food and put the parts they have on their plate or learning bowl into the bin. This is a very important closure step to the meal. If a meal isn’t all eaten when it is served “buffet style”, leftovers are safe to wrap / pack away into containers as opposed to wasted if all food was presented on individual plates & mostly refused. Add all marinade ingredients to a food processer and blitz. Pour marinade over pork and refrigerate for at least 30 mins. Stir-fry the shallots and broccoli in some oil and once cooked to your liking, transfer to a bowl. Drain the pork from the marinade (reserving the marinade for later). Stir fry the pork on its own in a little bit of oil (you may need to do this in batches so the pan is not overcrowded which results in boiling. Once cooked through add the reserved marinade and the broccoli mix. Put into a family serving bowl for the table. 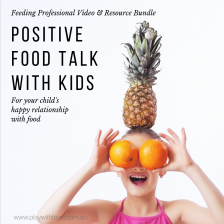 Serve alongside some “safe foods” that your child can be successful at eating whilst they learn about this fragrant new meal. 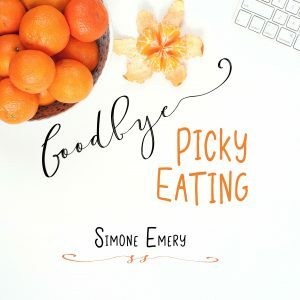 If TV (or any other screen) is on before a family meal or during a family meal and you want to understand the impacts of this, I dive into these strategies and more in Goodbye Picky Eating with Simone Emery. 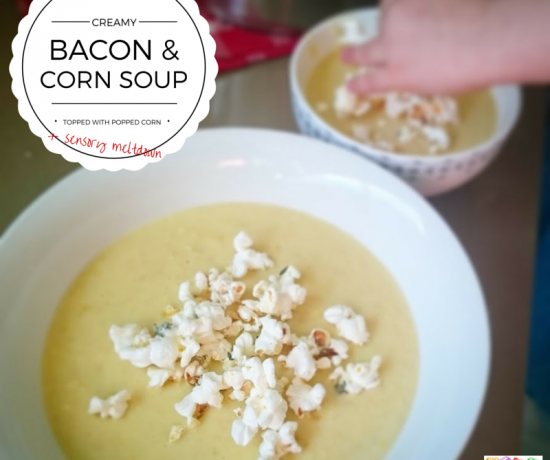 This is my 16 day course with a support group, printable workbook and plenty of recipe ideas to equip you with parenting tools that you need to say “Goodbye Picky Eating”. 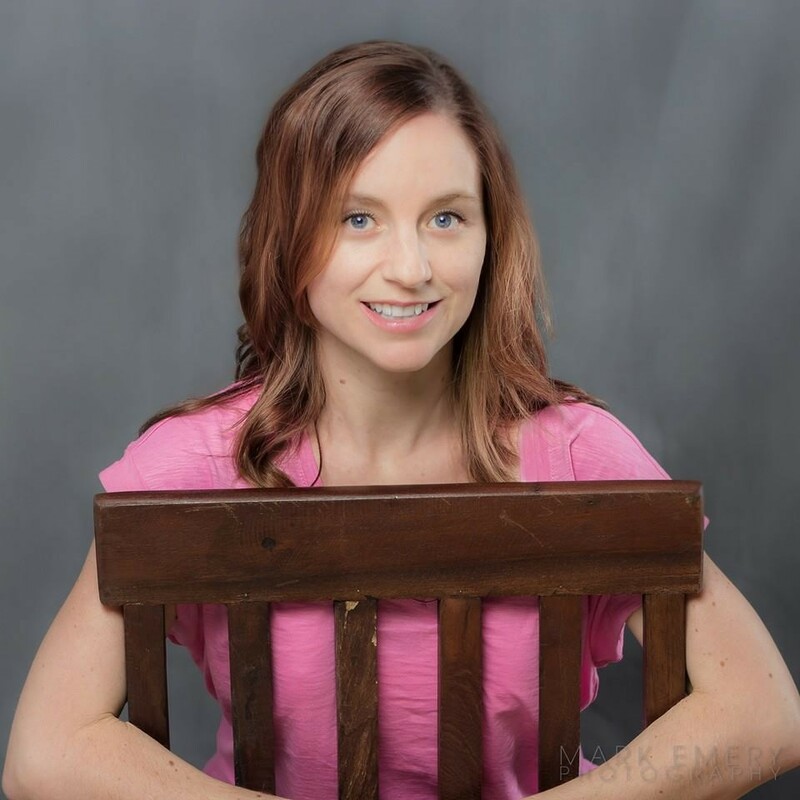 Plus – there are online consult upgrades available so I can work with you personally and watch your child eat!